So far we've covered footwear and accessories, so it's now time to tackle my favourite part of the list, Baubles! 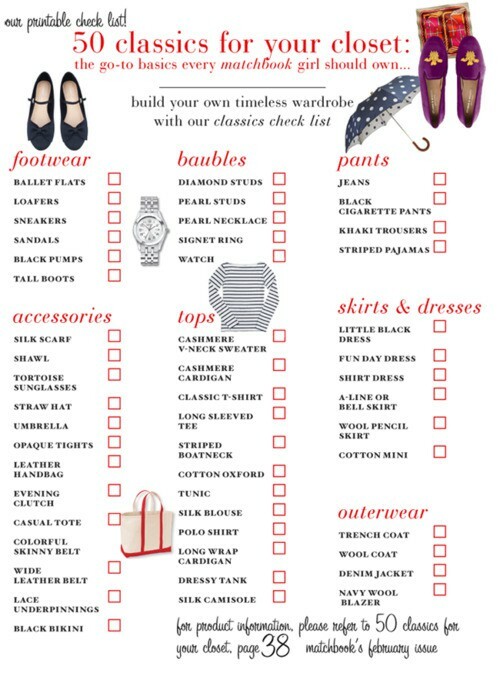 I'm going to confess, straight out, that my personal bauble collection is a lot larger than the five items listed, but I think what the original creators of this list were going for were the true classics and workhorses of a wardrobe, rather than the fun "extras" that can be used to keep a classic wardrobe fun and up-to-date. It also goes without saying that for these five items, if you choose to invest in them, is buy the best you can afford. 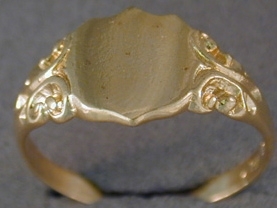 This does not mean you need to buy "real" gems - I would rather have a high quality faux piece than a poor quality "real" piece. Diamond studs always make a "must-have" list and it is easy to see why. 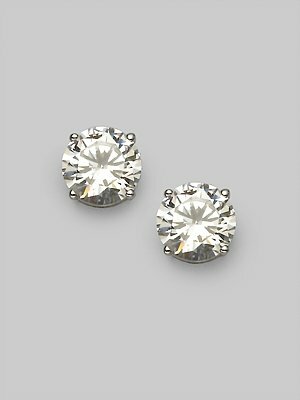 There is nothing simpler to wear, and more flattering, than a pair of diamond studs. The sparkle brings lightness and brightness to your face, and they really do go with everything. I tend to wear my diamond studs on a daily basis. It's just easy and thought-free to leave them in (almost) permanently. Like I said before, go for the best you can afford. If you can't afford quality real diamonds (see here for how diamonds are graded) that are of a decent size (anything below 1/4 carat looks juvenile, IMO), then go for a good quality substitute. You can now buy created diamonds set in real gold that look as good as the real thing, or look for a very good quality cubic zirconia. I really believe that a good fake looks a lot better than poor quality real diamonds, since the poor quality ones just won't have that sparkle and shine. If I am not wearing my diamond studs, then I am more than likely wearing my pearl studs. 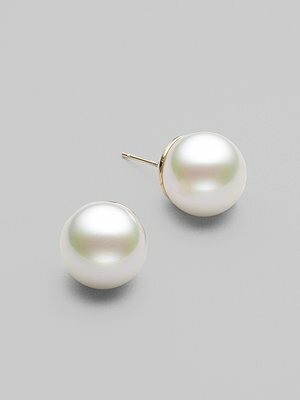 Again, I find them wearable with almost anything, and a simple pearl stud can be the perfect finishing touch with overwhelming your other accessories. My advice for diamonds pretty much holds true here as well. Buy the best you can afford! While good cultured pearls such as South Sea and Tahitian are considered the best, don't rule out freshwater pearls. 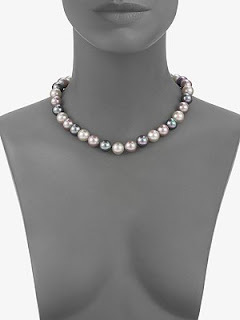 You can often find wonderful freshwater pearls much cheaper than cultured pearls. If you can't find good real pearls, then look for high quality faux ones. Faux pearls should have a great lustre just like real pearls. If they look plasticky, then pass them over. For size, I like small to medium pearls for studs (6 - 12 mm). While smaller pearls are my go to for studs, my advice for a pearl necklace is the opposite. Go big or go home, I say!! Short strands of tiny pearls look like they belong on a 16 year old, not a woman, so go for a string of marble sized pearls for a short necklace, or ropes of pearls if you prefer long necklaces.. And here is where faux pearls really come in to their own. While I would love a string of real ones, at $20-$30 000, I won't be buying a real strand anytime soon! I haven't found a good faux short necklace yet, but it is on my wish list. I did just pick up a beautiful 36 inch rope of freshwater pearls at 50% off in a recent sale, and I am in love with them! Apparently most "young" people no longer wear a watch, since they use their mobiles to tell the time, but I would truly be lost without my watch. If I forget to put it back on after my shower, I spend the rest of the day looking at my naked wrist! There are lots of great watches around, at almost all price points, and to suit almost any trend. Since we are talking classics, though, I will stick with a classic recommendation. 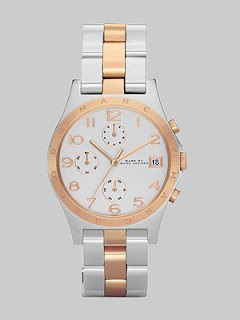 I like a classic men's style watch, either with a men's size face, or a scaled-down lady's face. Otherwise, I like the classic tank style watches. For real versatility, a two-tone gold/stainless steel watch is a great choice since it will go with all of your jewellery. So there you have the baubles that make up part of the 50 Classics. Apart from the signet ring, I think that this list of 5 pieces is a good starting place for building up your fine jewellery collection. 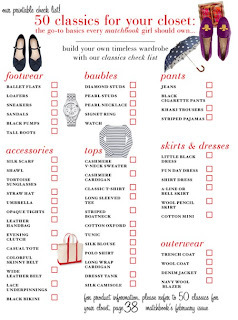 I would probably add a stack of gold bangles, a pair of hoop earrings and a classic cocktail ring to this list to round out a classic jewellery wardrobe.